The Blair School of Music serves as a focal point at Vanderbilt for the study of music as a human endeavor and as a performing art. The Bachelor of Music degree in Composition introduces serious students of music to the principles of harmony, voice-leading, counterpoint, structure, and analytical/compositional techniques in a variety of styles; further, it fosters the all-important skills of hearing tonal relationships with facility and of communicating orally the structures and materials of music. Faculty teach the art of composing, of working with performers, and of securing professional performances. Recently offered courses include Intro to Composition, Chromatic Harmony in the Romantic Era, Orchestration and Advanced Orchestration, Techniques of Composing for Media, Techniques of Choral Composition, Historical Traditions in Composition and in Performance, Musical Explorations: Bartók and Post-tonal Analysis. 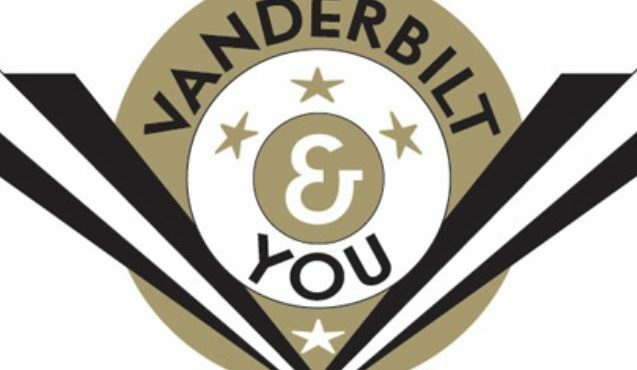 Applicants to the composition program must submit all Vanderbilt application materials as well as a Blair Acceptd application. Applicants must include three original scores and accompanying recordings, as well as a brief video performing one selection on their primary instrument, to fulfill the prescreening requirement of the Blair application. The Blair School of Music enrolls students from over thirty-five states and foreign countries. Composition majors may also choose to enhance their studies by taking a minor or second major in another field. Blair alumni have continued on to successful careers and/or graduate studies both inside and outside of music, including traditional classical music; film scoring, arranging, and composition in multiple genres; and aspects of the music industry, such as arts administration and business, at major schools of music in the United States and Europe. All Bachelor of Music degree candidates complete a standard core of requirements designed to ensure an intense, yet broadly-based understanding of the discipline of music. Students take coursework in music theory, musicianship and keyboard harmony, musicology/ethnomusicology, and conducting, while participating in ensembles, chamber music and individual performance instruction. In addition, all music students complete a varied liberal arts core of coursework. The Anne Potter Wilson Music Library is a division of the Jean and Alexander Heard Library system. It is a central gathering place with plentiful spaces for study and contemplation, where researchers and the music library staff collaboratively work to access resources and information in the field of music. The current collections contain more than 110,000 books, scores, sound and video recordings, and subscriptions to journals and online music databases. Students may participate in a wide variety of large and small ensemble experiences, including Vanderbilt Orchestra, Vanderbilt Wind Symphony, Symphonic Choir, Vanderbilt Chorale, Vanderbilt Opera Theatre, Big Band, Fiddle Ensemble, Steel Drum/Pan Ensemble, Sankofa (African Performing Ensemble), and Percussion Ensemble. The Blair School of Music sponsors a variety of concert series that offer solo, chamber music, and large ensemble performances to the University community and the Middle Tennessee area. The Blair Concert Series provides exceptional programming through the Faculty Signature Series, BMI Composer-in-Residence Series, and Music on Film Series. National and international artists and ensembles, the Blair faculty, including resident ensembles and soloists, and student ensembles and performers are all featured. Weekly student recitals, junior and senior solo recitals, and senior composition recitals are free and open to the public. The Living Sounds concerts are devoted exclusively to the performance of student composers’ works by student soloists and chamber ensembles, and each composer’s works are featured in a full senior composition recital. Blair brings in some of the very best composers in the nation each semester for a short-term residency. Guest composers have included such internationally celebrated artists as George Crumb, John Harbison, Joseph Schwantner, Christopher Rouse, George Rochberg, Mario Davidovsky, Joan Tower, Lukas Foss, William Bolcom, Bernard Rands, Leon Kirchner, Samuel Adler, Karel Husa, Frank Ticheli, Michael Torke, Cindy McTee, and Morton Subotnick. Broadcast Music, Inc., (BMI) has sponsored most of these visits in an ongoing twice-yearly residency program at Blair. Composition majors complete a junior thesis. Students at the Blair School engage in research and creative expression in many different ways. Each summer several are involved in the VU Summer Research Program (VUSRP). Throughout the academic year students can enroll for credit to work one-on-one with faculty mentors in an independent study, a thesis in musicology, a junior thesis in composition, an honors thesis in musicology, a recital, and other collaborative projects in the arts. Students may also gain valuable experience by receiving academic credit for an internship. Opportunities are available throughout Nashville in the academic year, or students may intern anywhere in the summer. Students have interned at: Nashville recording studios, National Public Radio, the Nashville Symphony, the National Music Festival, the Washington National Opera, and more. The Blair School of Music is home to internationally known faculty soloists and ensembles, and the Blair School’s faculty performers, composers, ethnomusicologists, and musicologists are among the most respected in their fields. Their dedication to teaching and a low student/faculty ratio provide students the personal attention that fosters maximum musical growth and understanding.